Change Your Storyline, Change Your Life! 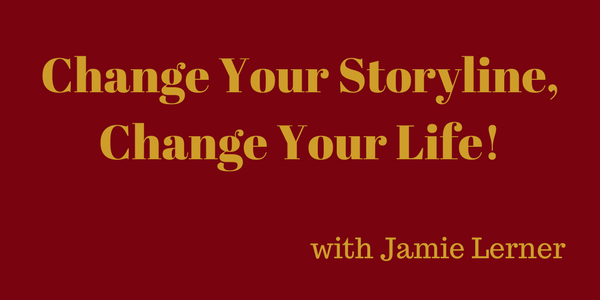 Is your storyline working for you? This is a question you’d likely hear from my guest today, Jamie Lerner. Jamie is one that can put a fresh spin on just about anything. She has the uncanny ability to transform your biggest nightmare into your greatest pleasure. Unassuming, reassuring and seemingly without any sense of ego, Jamie Lerner is able to put everyone and everything at ease. She is the co-author of The Ever-Loving Essence of You, an easy and truly inspiring read!